पर उस अनुशासन प्रिय स्कूल के गेट पर ये मज़मा कैसा? फ़िर आख़िर कक्षा '10 D' के छात्र ऍसा क्यूँ कर रहे थे? मार्च का महिना था,होली आने वाली थी। मिस ग्रोवर ने कक्षा के मॉनीटर को किसी कार्य से टीचर्स रूम में बुलाया। जब वो उससे बात कर वापस पहुँची तो सहअध्यापक विस्मित से पूछ बैठे ! ये किसने किया मिस ग्रोवर ? रत्ना जी, ममता जी जी बिलकुल ..अपनी राय देने के लिए शुक्रिया ! You guys faced such hardship and yet did not contest us when we were heaping praise on Mr Raj and others.This is what I appreciated. It is not our fault,as you said that jiska jaisa anubhav hoga wahi to likhega.But I have told some of my close friends about your batch and the sesitiveness shown by you.Your article was lovely.It nearly brought tears in my eyes. apka ye post behad dukhad laga...kissi ek teacher/principal ki wajah se itne saare bachchon ke bhavishya par itna bada asar!! kya unke conscious nahi hote? This incident seems to have happened just a few years after my time in St.Mikes. I wonder where the parents were in all this. I agree that what the principal did was inappropriate to put it mildly; but what about the students unwillingness to accept some of the teachers? Surely, they should not have rebelled like some cheap politicians while they were not yet adults. And surely, every class has its share of 'bad' teachers. "जब तक हम चिल्लाते रहे पलड़ा हमारा भारी रहा क्यूँकि उस स्थिति में हमारा न्यूसेंस वैल्यू ज्यादा रहा।"
Students should not be doing these kinds of things – their protests/complaints should be via their parents/PTA or other appropriate channels. They cannot force the school to change teachers unless something extraordinary, e.g. criminal activity is going on. If they are encouraged in such behaviour then we are then setting the stage for beginning of lawlessness. It was school fete time; one of my classmates, a Patna MP's son, had done a lot of work in the organising of the fete. A couple of days before the fete , when everybody else was in uniform, he turned up in casuals. When the principal saw him, he promptly ordered him to go home and change. This 'enraged' my classmates who then walked out and held the school fete to ransom. I remember standing outside the school gates in protest demanding that an apology be made by the Princy himself and the boy be let back in(in casuals). This was the first time I had heard of any such incident in my 10 years at St. Mikes. In the end, the Vice-Princy came out crying(yes crying!) and begged us all to come back in and continue with helping organise the fete. We won! But I believe we also set the set the stage for beginning of lawlessness. I regret to this day being one of boys standing outside gates protesting. Discipline is just that – discipline! p.s. Sorry, no offence meant to anyone. शायद उन्होंने अनुशासन के महत्त्व को समझा होगा. Second point is the language pejudice which you completely missed in your reply. if a school discriminates just because of this, it is also incorrect. When I was told about these incidents some 10 months back by Amitabh Maheshwari,everything came to my memories in a Flashback. 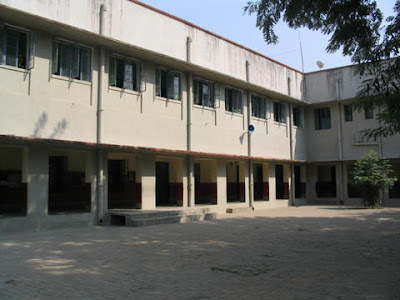 Your Batch was senior to me, and I was witness to all these incidents and also on First hand detailed narration for what I was not witness from students of this batch,since we stayed in a Hostel. I do Agree,that inadvertingly,this Batch was punished,where in some people like you might have been not responsible for anything. Somehow, I think Its completely being biased blaming school for what you have gone through. # You yourself Know what else students of this batch had done,what you have not mentioned everything here. Students of this modern age would bow thier heads in shame,if they know what thier seniors had done so many years back. If someone neutral hears all of these,the batch would have not been allowed to continue further. School was still Lenient enough. # why didnt the genuine people protest when Indiscipline "infact the deeds done does not even fit in paramenter of Indiscipline" was taking place. # Those students who were about to face the Board don't happen to be that Immature. #Someone above is right writing why PTA was not involved if so called atrocities was being done on students. # Out of a batch of so many students,if there was a genuine attempt for sorting things out,parents could have been involved,and at least 30 Parents/Guardians were enough for putting things right.this was not done because Batch was at Fault.They were not accepting mistakes. 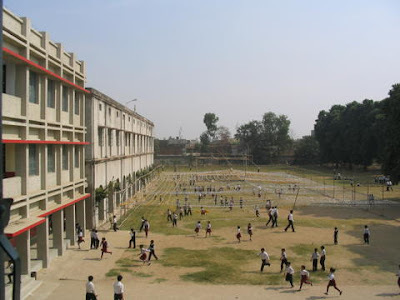 # Until you are students,why being ashamed of standing on Bench,it was as Humane a punishment,compared to what children face today in some Modern schools.Since genuine students,didnt restrained bad elements, you are also liable to face this punishment collectively,as similarly as the whole batch is praised if one or 2 student fair extraordinary. पर मैं ये जानता था कि इस दंड का पालन ना करने से हानि हम सब की ही होनी है। सब को ये समझाते व़क्त मन के किसी कोने में आत्मसम्मान कचोट रहा था...शायद कह रहा था कि अगर सारी कक्षा राजी है तो क्या तेरी ही गैरत ख़त्म हो गई है...इसलिए मैंने भी वही किया जो सारी कक्षा ने किया..मँझधार के साथ बहने का फ़ैसला ये जानते हुए भी कि इसमें सबको साथ ही डूबना है।"
Then why complain for ,if you did not take corrective actions. Have you thought over...what Bad name school had got that time ,because of your deeds ? Did we people from other junior and senior Batches went Public and exposed you for what you have done in school ? Other students from different schools used to taunt us on indiscipline. and there is no linguistic attitude shown by school, there were more Hindi Meduim batches in school, no one ever faced such things.thats completely baseless. if in This age of 14-16,students build ego issues and work towards destruction,you can yourself think,if you were going towards right direction or wrong direction. # you also mentioned,you are only in touch with 2- or 3 of that batch. me from junior batch,but I am in touch with at least 8-10 students from this batch and all except one says,students were wrong. # I am not here to sermon,but I can only advice, look at the life positively,just change your attitude towards life and you will feel the difference. # NOTE: I have names to relate to all such Incidents,but since those people don't want to be named, and they think, its time to move on in life,and some of them say,that was a great learning period in turbulence, and understanding of Herd Mentality...long after they had passed the school,I would not like to name them here. --I had clearly written,I am not here to sermon,advise is something,at least ill be open througout my life. and there was no relation to someone staying in Vice principal's Hostel,but it was an act of pardoning by our teachers and being extra cautious by school on this batch,looking at the gravity of situation resulting out of misdeeds of students. One who knows,something is going wrong in a group and not protesting,or restraining fellow students is more guiltier than who is comminitting the act and not knowing if what is being done is right and wrong. One has his/her own conscience, and there is a way to present any matter,but not by politicising. I am not sure how much you are aware of the incidents,...I guess you are if this line written by you gives a hint "ये सब सही नहीं हो रहा था...पर समझने को कोई पक्ष तैयार नहीं था। '10 D' कक्षा की ख्याति दूर-दूर तक फैलने लगी थी। स्कूल की शिक्षिकाएँ सामने के बजाए दूर के रास्ते से गुजरना पसंद करतीं "
do you want me to write Graphic details what happenned with 2 of the school teachers ? any Normal human being would not tolerate such activities what happenned during that day! I consider the pricipal a genuinly considerate person,that he still allowed those people to be in school,other wise the misdeeds come under a extremly harsh punishment under Indian Law. I am fortunate to have studied in such school, where the teachers and the principal did not go ahead and lodged police complaint,but pardoned you,and yes if they were too cautious in dealing with this batch,they were 101 % correct.why take chances to let appear more such incidents. you were a Brilliant student and if you still dont know the facts or are ignoring what happenned, then its unfortunate. Its good that you are happy today,and wish you all the best ahead,but what happenned during that time at School is a shame on the name of having such students.going into more graphic details would be hurting those particular teachers. I refrain from doing this and ant the same time, ....I can say I am proud of the school,that the school admin chose to pardon students,rather than handling them over in the hands of Law. I dont intend to wash dirty linen of others here on a Public forum, I only responded because the initial post carried only 25 % of the truth.and I have not revealed even 10 % of rest of the facts. 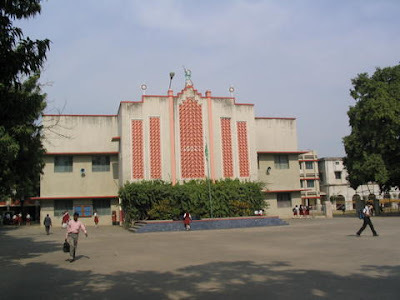 One may have personal grudges,but if the whole school's Image is being tarnished here, I intend to make things more clear here that,I feel much proud thinkg the act of pardon done by school management that time,because one who pardons stands in the league of GOD. Proud to be a Michaelite ! अमरेंद्र , आप को जो भी लिखना है शौक से लिखिए जितने ग्राफिक डीटेल में लिखना चाहते हैं लिखिए। उससे मेरी बातों को ही बल मिलेगा :) जब बदमाशों को कोई सजा नहीं देगा तो उनकी हिम्मत बढ़ेगी ही। हँसी आती है आपकी pardoning theory पर! Seems you have little problem comprehending,,,read again what I have written,,,why I would not like to give graphic details for reasons already mentioned. As I said, i dont have any intention wash others' dirty linen here in Public,where were you guys the so called innocent students,you cannot be termed innocents,if you supported the misdeeds. you can laugh on pardoning theory and I laugh on so called innocents 30 mortals,who didn't had guts to protest on what wrong was being done,guts to involve guardians' intervention but become cry babies after 20 years. I am not surprised on your laughing beacause, you must be laughing in those years too instead of initiating corrective actions,but suppoting bad elements. For those people as I know people from this Batch,are Braver and balanced mortals, who have accepted thier mistakes and learnt from the past,rather crying and blaming school.they are doing excellent in thier lives. Pardoning was done keeping entire batch ,not with specific students. And some exceptions who think it was punishment,dont know what punishment would have meant for the mistakes were done. An immature student can think in only from his/her perspective,but Teacher has to see the Larger Picture. and someone said "sometimes silence is Bliss",that you dont think of minority who are mischiefs,but majority who have scope to improve make a better world. There is no point bringing out the teachers' names here who went through the ordeal. My last post here,with only intention to clear the air for wrong picturisation done till now with the initial blog by a misguided mortal.